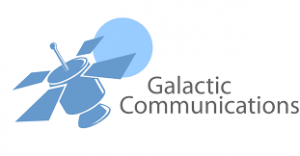 What Do We Know About Galactic Communications? sounds so Star Wars-ish. And their encryption/security measures seem, on the surface, designed to keep out the Borg. Is this for real? Does anyone know any inside information on these folks? There are limits to how much they’ll store (10 Gig). But everything else seems really ideal — if it’s for real. Anyone have any history with them and/or can vouch for the ownership? 4 Responses to What Do We Know About Galactic Communications? I’ve been with them for about 18 years. Excellent. Worldwide. Super secure. Email the admin for more details or private message me and I’ll send you contact info on them and more detail. Yes, very private, very professional. We use them. The interface for Mac/iOS is bulky and difficult to use, but the system is secure and works well. We used them for ten years, good service, secure and very carefully managed, and we met the team before signing up with them. The system (that uses First Class communications software) is less intuitive than O365, for example, but works well.